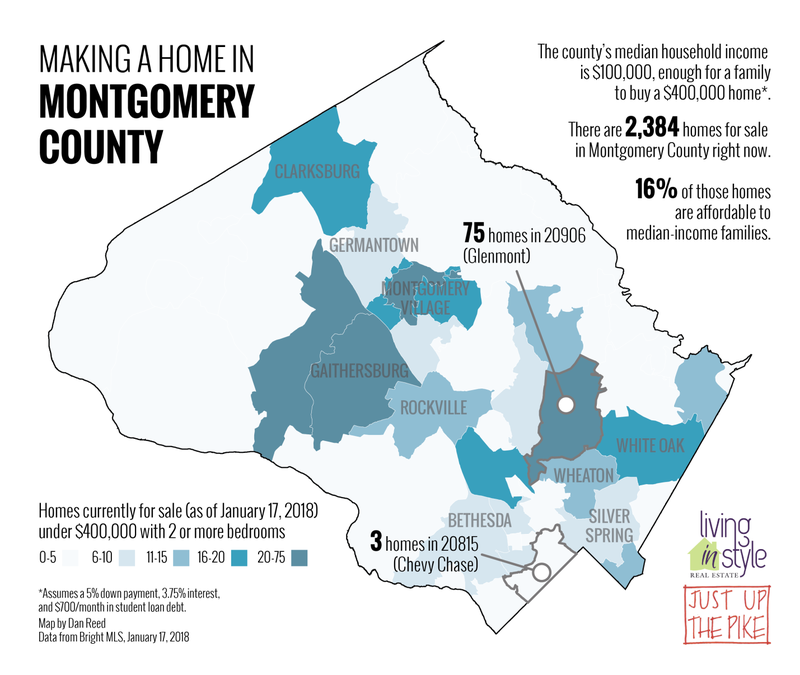 Anyone who’s moved in Montgomery County recently will tell you it’s an expensive place to live, and not just for low-income people. As house prices continue to rise, the cost of living here has become one of the biggest barriers to a stronger economy and a stronger community. Throughout the 20th century, Montgomery County grew by leaps and bounds. The population doubled in the 1950s, and again in the 1960s. 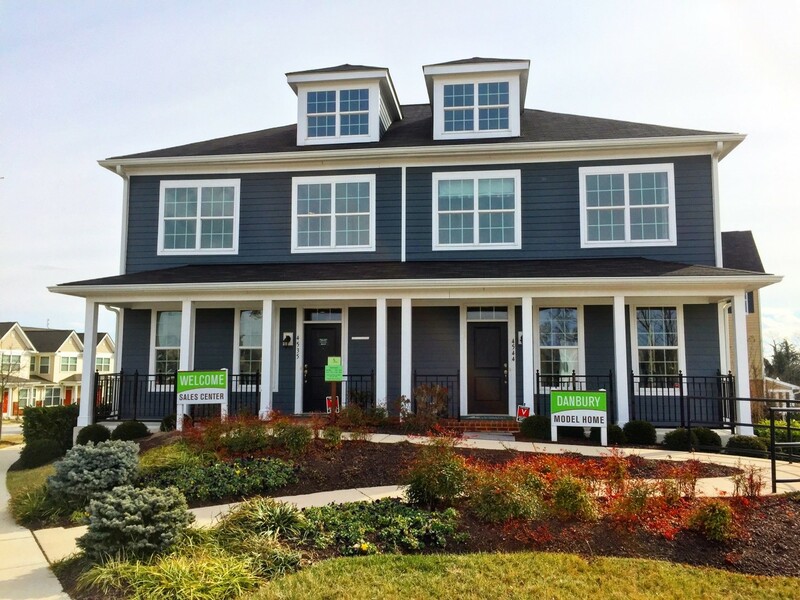 And for the most part, we kept up with the accompanying demand for new homes, building new suburban neighborhoods on former farmland to house a growing population of commuters. Today, Montgomery County is mostly built out. While some new subdivisions are still being built at the edges of the county, most new growth comes in the form of building up in places like Silver Spring, Bethesda, and White Flint. Yet even as cranes sprout over our skyline, we’ve fallen far behind building enough homes to meet population growth. 170,000 new residents came here between 2000 and 2016, which required about 4,000 new homes per year. We fell short of that almost every year during that period, and not surprisingly, home prices have skyrocketed in the county, even with the Great Recession. Today, the county’s median house price is $436,000, though in many communities it can be much higher. As a result, the cost of housing isn’t just an issue for very low-income people. A household making the county’s median income, or about $100,000/year, can afford a home priced at around $400,000, but much of the county is off-limits for buying a home. Meanwhile, they make too much to qualify for the county’s affordable housing program. This lack of available housing has changed our local real estate market. 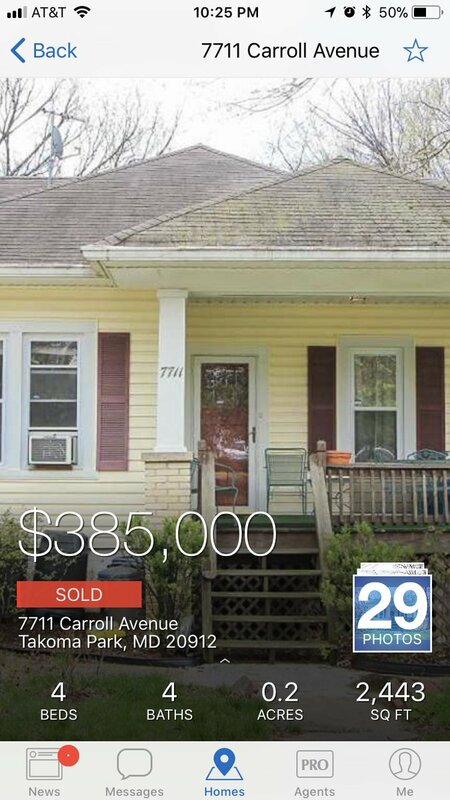 It’s common to see multiple buyers competing for the same house, bidding up prices as they do it. In close-in neighborhoods, teardowns and house flips are common, as modest, affordable homes are replaced by or turned into luxury homes. Meanwhile, people who already own homes may find themselves unable to move due to the lack of options. I have neighbors here in Silver Spring whose children are grown and would like to sell their single-family house and buy a condo downtown. BUT, there are so few condos available that meet their needs that they’ve chosen to stay put. That means fewer family-sized houses for those who might like one, and they end up competing for the few that are available. People are forced to live far from their jobs, meaning long commutes, and time spent away from friends and family. Naturally, this means more traffic as people have to commute further out, using roads and transit that can’t always handle the load. Employers have a hard time recruiting employees to come here, and may even choose to leave the area as a result. Small manufacturer Wilcoxon Sensing Technology recently announced that it’s moving 100 jobs from Montgomery County to Frederick, while Discovery Communications is leaving the county after over 30 years and is relocating some of its employees to Knoxville, Tennessee, where the median home price is just $136,000. It also results in weaker ties to their community as people don’t feel like they’ll stick around for a while. It’s something I’ve noticed in my own social networks as my 20- and 30-something friends realize they will never be able to stop renting. Many of my friends work multiple jobs. Others live in precarious housing situations – one lives in an illegal rooming house in the county with 11 other roommates, because that’s all she can afford. So many leave. I’ve had friends move east to Prince George’s County, out to Howard County, or up to Baltimore. My friend, living with her parents in Bethesda, followed them to North Carolina – because they, in turn, were following another child and his wife, who moved there because they couldn’t afford to raise a family here. You could say well, that’s great for those places, and young people can find opportunities there. but don’t we want kids who grew up here to have the option to stay? As Hans Riemer said in 2013, Montgomery County spends over $150,000 to educate a child in our vaunted public schools and when they leave, we effectively lose that investment. It will only get harder and harder to maintain that competitive advantage if we’re not able to attract new residents and businesses. 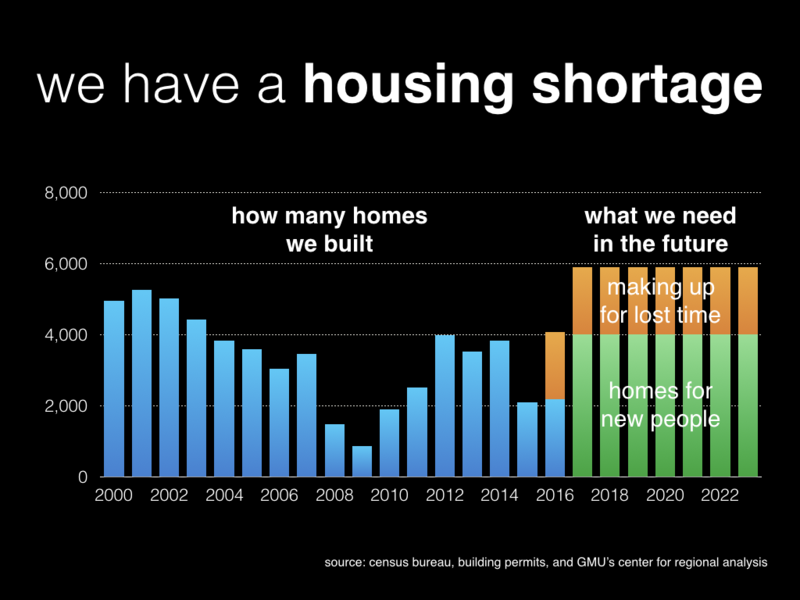 For years, we haven’t been building enough homes to meet the demand, and it will only get worse; one study says we need 87,000 new homes, many of which will need to be affordable to low- to middle-income households. 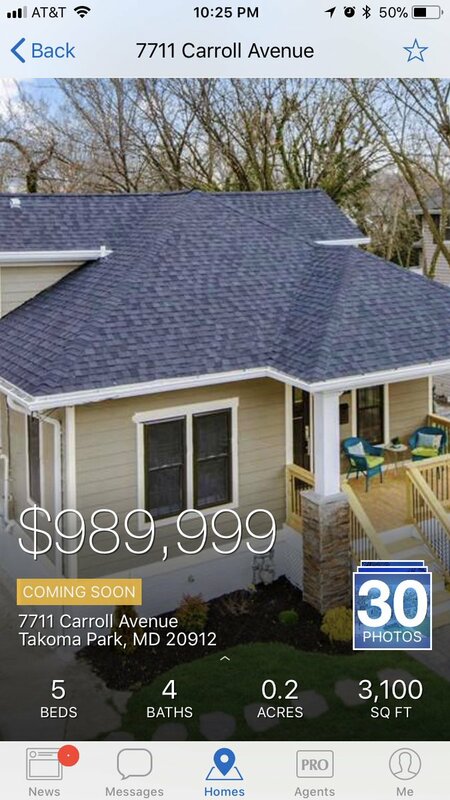 We need to prioritize growing our housing stock, but especially at the lower end (like, under $500,000). It may look different in different parts of the county: condos, townhomes, duplexes, smaller single-family homes. We need more flexible zoning that allows more mixing of different home types, especially near job centers like Silver Spring, Bethesda, and Rockville. We also need a more streamlined approval process for homes targeted at median-income buyers and below. It can take three or more years for a project to get approved in close-in areas and results in lengthy battles with neighbors. Otherwise, we should prepare to watch more businesses and residents look at Montgomery County, consider the high cost of living here, and take a pass.